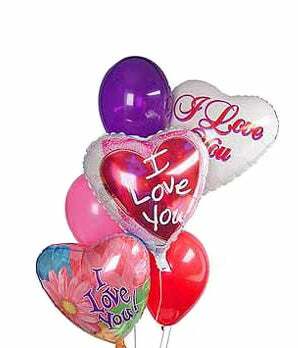 Celebrate your love with our I Love You helium filled balloons. Make it more special by choosing a teddy bear or box of chocolates. Please understand that Latex Balloons may only last 4 to 8 hours while the Mylar Balloons will last several days. Some of the balloon designs may vary but the over look value will remain the same. Includes 3 Mylars and 4 Latex Balloons.